An important exposition from the Quran on the relationship of Abraham (pbuh) and his son Ishmael (pbuh) in relation to the dream that Abraham (pbuh) saw in which he sacrifices Ishmael (pbuh). 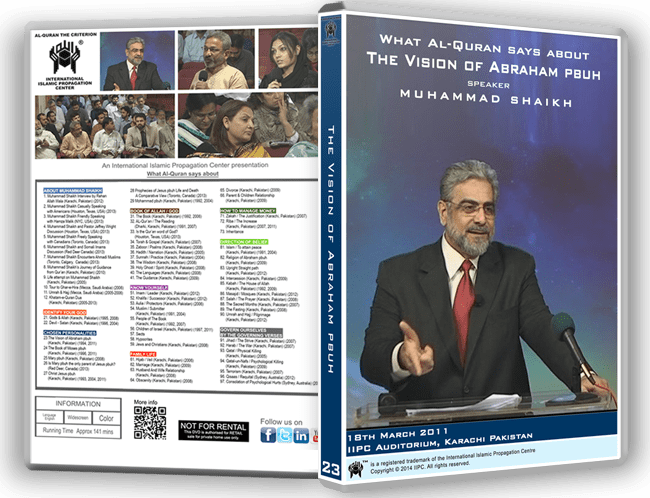 In this lecture many misconceptions that have crept into the general Muslim ummah from the Christian religion are highlighted and the truth established from the Quran as to the significance of the Vision of Abraham (pbuh) for all Muslims. How did Ibraheem’s (pbuh) dream come true? Did not Ismaeel pbuh & Ishaq pbuh had the same mother?